When our children’s emotions are running high, often ours are not far behind. Here are some gentle reminders for those moments when you are all having a hard time. 1. Trust that children are trying to express a need with their behavior, not manipulate you. 2. 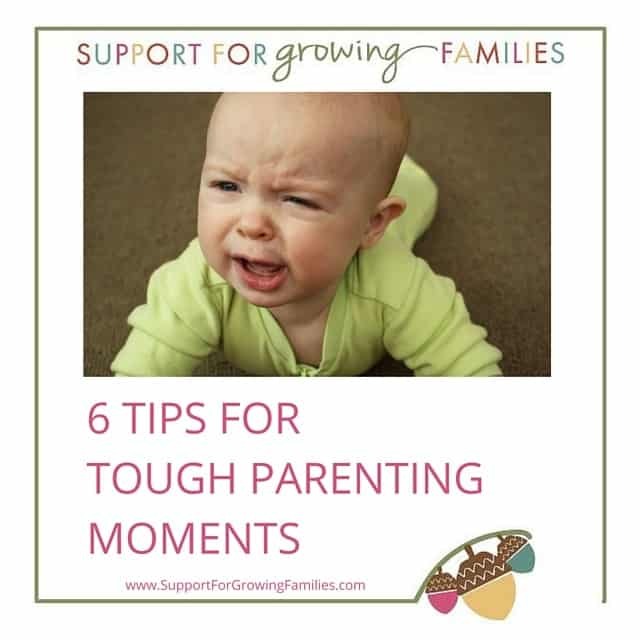 When a child’s behavior goes off track, try getting close and using a warm tone while setting limits. 3. When big feelings erupt, try listening rather than distracting or ignoring. 4. 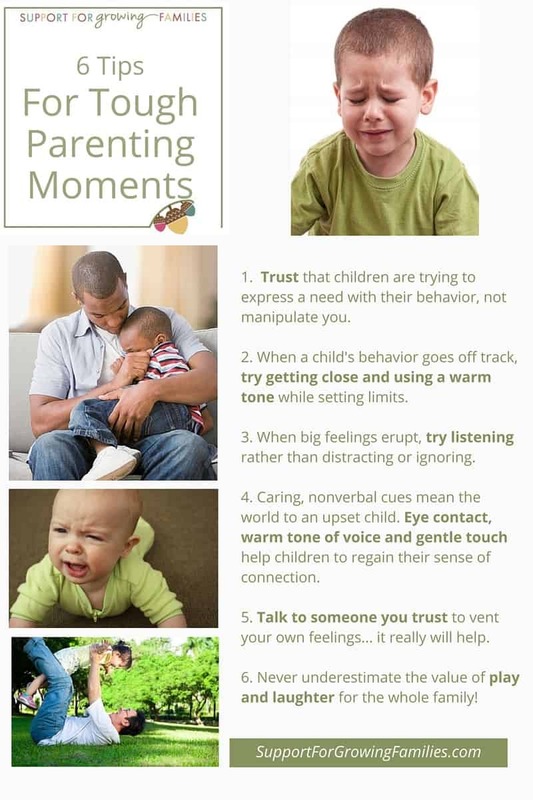 Caring, nonverbal cues mean the world to an upset child. Eye contact, warm tone of voice and gentle touch help children to regain their sense of connection. 5. Talk to someone you trust to vent your own feelings. It really will help. 6. Never underestimate the value of play and laughter for the whole family! I am a preschool teacher and am exploring how I can best help parents. Do you ever give parenting lectures at a school? Do you give classes to teachers of young children? I have a group of kids this year who are challenging and I’d like to support them as best as I can. Thanks! I look forward to your reply. Hi Allison, thanks for your question! I do give classes and talks for parents of young children. You can see some basic information on this page, and I’ll send you more information!